Do you ever feel little nudges from God? Often they are subtle, unsettling tugs at the heart or relentless nagging thoughts to do something totally random, uncomfortable, or out of character. Too frequently, I have shrugged off these gentle pushes from God. I invent all kinds of excuses not to act upon them – excuses like: “I am too busy,” “I have no idea what to say,” or “What if I make a fool of myself?” And so I convince myself that God could not possibly be nudging me to act. Perhaps it is only my imagination, but in the back of my mind, I always wonder what might have happened if I had followed through. Reflecting upon these missed opportunities need not cause regret. Instead, we can learn from them. 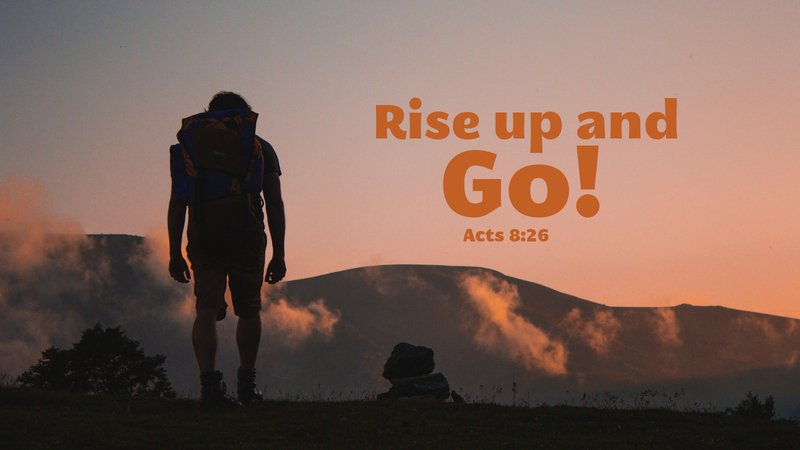 When God nudges, we can learn to respond more like Philip (Acts 8:26-35). We can choose to obey God, even when it seems too irrational or too risky. Action requires faith in the One doing the nudging, but also produces faith in the one being nudged. So the next time God gives you a gentle push, take a chance. You just may be surprised by what God can do through you. Prayer: Loving God, make us feel your gentle nudging and give us the courage to respond faithfully, through Jesus Christ our Lord. Amen.